A picture I took while walking the dog in the park near the place where we lived at the time, and just after a fresh batch of snow had fallen at night. 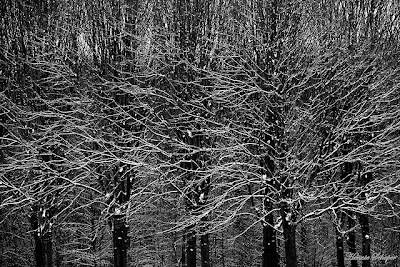 It was the first time I noticed the contrast between the vertical order and horizontal chaos in this group of trees. 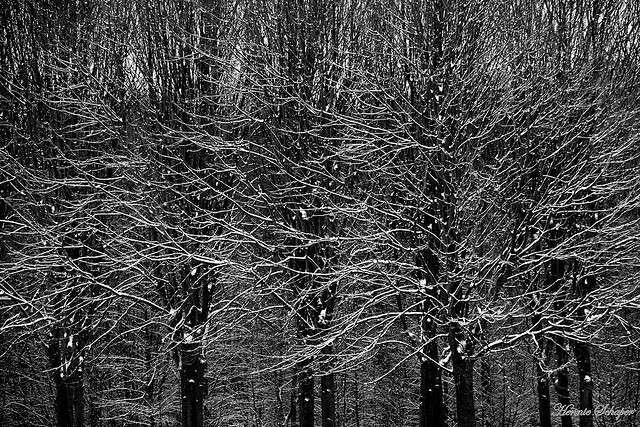 The black and white conversion was a logical choice to further emphasize the lines.